From July 10-14, 2018 a group of students representing five CREATES partner institutions met in Freiburg to participate in “Students for Students – International Peer Advising Student Conference in the Black Forest.” The event represented one of CREATES’s two ‘learning, teaching, and training activities’ for higher education learners. CREATES dedicated Development Team 3 to improving techniques of peer advising because of this practice’s great potential to help students achieve their academic, career, and personal goals. 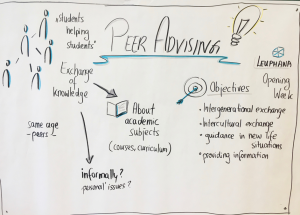 Peer advising can assist students in finding the confidence to express themselves in professional contexts and help bridge the gap between student expectations and institutional capabilities. 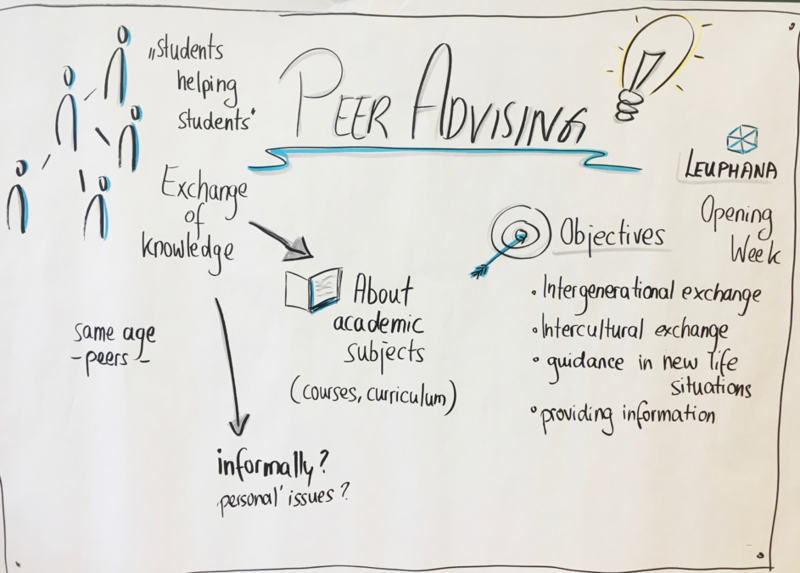 The 5-day workshop at University College Freiburg aimed at facilitating an exchange among the students and CREATES Development Team 3 member– to better understand student experiences of and needs for peer advising. Through exchange with and among the students, team members learned the details of different conceptions of and expectations for peer advising. For example, some students emphasized the importance of firsthand, inside information on instructors and courses, while others considered the relevance of orienting new students to the social life of university. The conference gave special attention to the topics of intercultural communication and conflict management. 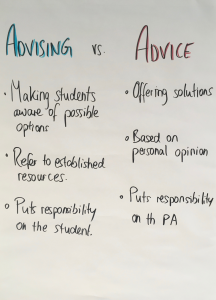 One of the most valuable insights students articulated during the conference was the distinction between “advising” and “giving advice.” Identifying this difference gave rise to further questions on how to address the tension between these actions within a peer advising program. 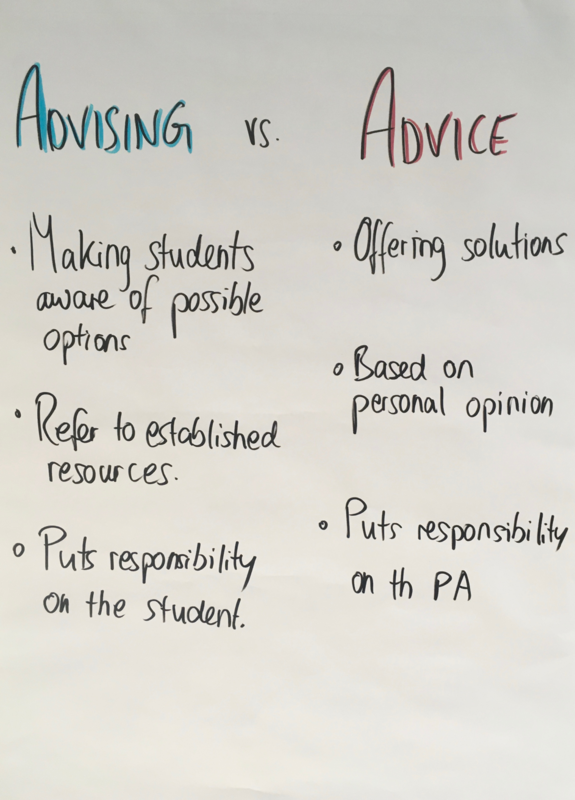 Towards the end of the conference, the students built two working groups, which independently developed ideas for possible peer advising programs and concrete advising activities at their respective institutions. Including students’ perspective on peer advising practices marked an important milestone for the further development of the CREATES peer advising toolkit. The opportunity for comparison between representatives from international institutions allowed for a particularly rich exchange of ideas and possibilities. Having incorporated ideas and feedback generated during this workshop, an upcoming CREATES event will focus on the presenting concrete practices and techniques of peer advising and self-advising, such as working with e-portfolios or other tools for academic and professional development. Further ideas and feedback will be incorporated into both Toolkits 2 and 3.